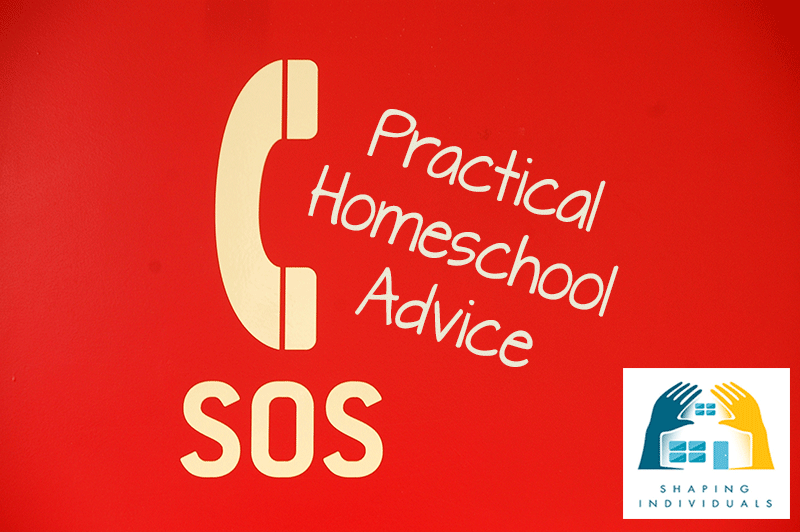 Calm down with some practical homeschool advice! 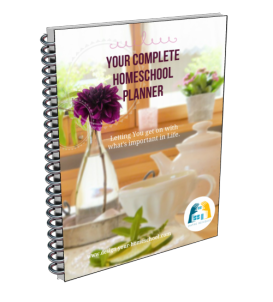 Is your mind overflowing with homeschool information? Feeling overwhelmed? If you're new to it all - keep calm, relax, take a breath and read these top tips to help you step back and give you confidence to homeschool. 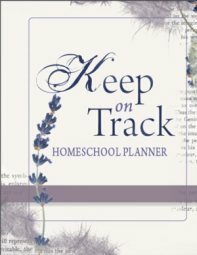 Here is some practical homeschool advice especially for those just beginning to homeschool. Keep calm ... you can do this! When you first begin homeschooling, especially if you have taken your children out of the school system, you will find yourself questioning the decision. This is quite normal to do; It isn't easy to step out of the norm, and be different. However, now is the time to read some good homeschooling books which support your decision. It's great to have some on your shelf for that encouragement when you need it. Often the first book you read on homeschooling, can have a profound effect on how you homeschool but also remind you of the reasons you had when you decided to homeschool. If you know it is God's will for your family, then step out in faith and do it. God will equip you for the task He has set before you. Here are some of my favourites. The first book I read on homeschooling was, "For the Children's Sake" by Susan Schaeffer Macaulay and still one I give to those considering homeschooling. Another one we have studied in our homeschool mum's group is still one of the very best books you can buy on homeschooling: "Educating the Wholehearted Child." Homeschooling gives parents the opportunity to nurture and disciple their children and have a huge influence in their life. That means that as parents we need to take the time to enjoy, understand and know our children. As we understand our children we will know their strengths and weaknesses, their struggles and when they need encouargement. This helps us to disciple them - to lead them to God in prayer for strength, for forgiveness, for courage. When our children act in a certain way, it is important for us to know them, so that we can deal with their needs appropriately. You may also like to read my article, "Homeschool - Family or a School?" All of life is education. Home-Education is a much more comprehensive term. We are instilling character, teaching worldview, developing life skills and growing in knowledge, enlightening the understanding and pursuing wisdom, and this is not happening between the set hours of 9.00am -3.00pm. It is all day and night, every day, through holidays, sickness, excursions...yes...through all of life! How can we educate as a family without home-"schooling"? Read more here. Read aloud - Through all your homeschool years! In order to make reading a part of your home life, it is great to make special times set aside for reading together. We have always had a few times in our day for reading: after morning tea, I would read aloud to all the children; after lunch: everyone would have their own quiet time in which they would do their own reading (or playing/sleeping when little). We would also have times in the evenings, (when possible), when Dad would read a book; Since Dad has so many evening meetings, it did not always work out, but whenever we would go on holidays, Dad would read books aloud to the family in the tent. A lovely memory for us all! Do you have favourite read alouds? Add them here - and see what other homeschooling families are reading. Realize that you don't need to teach them everything! Are you a checklist person or someone who likes to read a "Scope and Sequence" chart for pleasure? Homeschooling really requires you to think differently. "To knowledge there is no end." Who said that? Solomon the wisest man in the world. He knew that you can keep on learning and learning. So, why do we somehow feel the weight on our shoulders as homeschooling parents - that we need to impart all knowledge into our children's heads before they 'finish' their education at home? One important piece of homeschool advice is that we can't and we don't need to teach them everything. Are you learning right now? Are you picking up a book at the moment on something that interests you? How did I learn to build this website? We are learning all the time, and the main gift we can give our children is the love of learning. Then, we can leave them to explore, learn, develop, create, and step into all sorts of learning, way beyond what we can teach them, or what we even know. I have seen it myself with my children - As a family, we have given them tools to learn and the tools to explore, and then watched them go far beyond us in their understanding of all sorts of things. Look to the future, but don't buy for the next 12 years! When I first started to homeschool, I wanted to have it all organized. I wanted to know how I would cover all the requirements, cross the 't's and dot the 'i's. I looked to the future, set goals with my husband (as this page), and searched for curriculum to help us achieve what we set out. However, thankfully, I did not buy everthing then! Although it is great to plan and think ahead, a part of the homeschooling journey, is realizing that one size does not fit all. All of our children are unique, and homeschooling provides the best setting for personalized learning, for discovering personal skills and talents, for using real-life experiences as a part of the learning process. Therefore, as our children grow and develop in their own unique way, we can create a plan to suit them. Some children will learn better through experiential learning, others through a structured textbook approach. As homeschooling parents, it is important to realize that valuable learning takes place in many different ways and at different times across the day. It is easy to think that our children are only being 'educated' when they have the books open, when they are busy writing. But that is a limited view of education. Another important piece of homeschool advice is that 'All of life is education.' Really try to understand that and apply that in your homeschooling situation. Yes, you can homeschool on holidays, on excursions, in the car, at night, in the early morning, on walks. Remember what it says in Deuteronomy 5:6-9. It is very important as homeschool families to have homeschool support. Join with other families either for social picnics and get togethers or for combined lessons. There are many groups which meet in co-ops where certain subjects are taught in a larger setting; Choose these carefully, and remember you do not need to do it all. 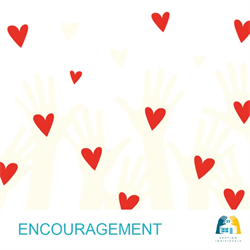 Find your homeschool support group here. Work in a way YOU feel comfortable - be unique! The whole premise of this website is that each family is unique and so the way you approach homeschooling will also be unique. You will need to decide what will work for your family, your children, your lifestyle, your budget, your goals. If you have just begun to investigate homeschooling, can I encourage you to investigate homeschool approaches and then be creative and design your approach according to what suits your family. Homeschool Top Tip #10: Don't Compare! However, it isn't long before "comparison" steps in and we begin to doubt if we are giving our child the best education possible. The focus shifts quickly from the relationship building opportunity to "an education", and unfortunately, our society has taught us to measure "education" by scores. So, driven by our need to see results in order to compare our children, we set them down to a plethora of textbooks, a CD course, another on-line program just in case.... and on it goes. More on Homeschool Peer Pressure. Homeschooling is real life, so don't be naive. There will be plenty of days where you will face questions - not only from others, but also from your children, from your family and from within. Homeschooling will bring out all sorts of character issues - things you will need to work on in your children's lives, but ... also in your own life! This is where it really gets challenging! As we homeschool, we find more and more things we need to work on. God is not just teaching our children, He is teaching us! So, homeschooling is a way in which we will be brought to our knees and acknowledge our dependance on God, for wisdom, strength, patience and guidance. 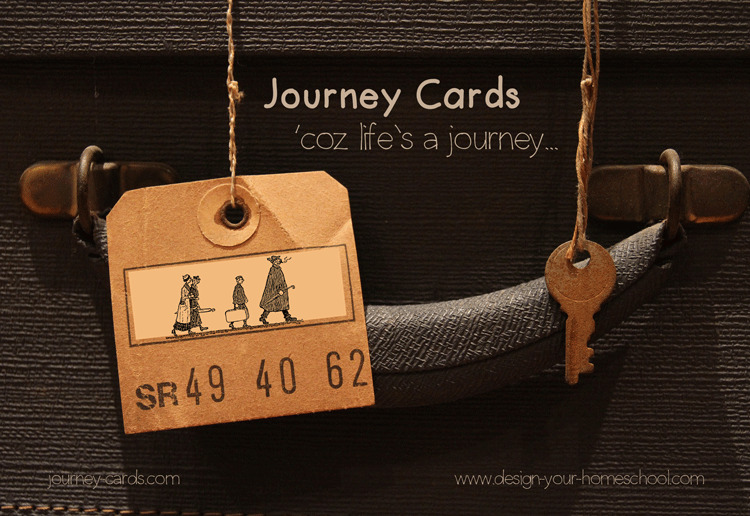 It's an exciting road - not an easy path, but an exciting road for sure! Beginning homeschooling? How to begin with confidence!